Take this scenario: One of you in your partnership is the anxious type and so often needs to ask questions in order to feel safe. One of you is the go with flow type person who does not like to think ahead. So when the anxious type partner comes to the other and asks “what are you thinking or can we plan that ahead of time or when are you coming back”, the opposite type person tends to think the questions are unnecessary. Over time, the anxious type feels ignored, sad and isolated and the other feels annoyed. The way to prevent this is pretty simple really. Become mindful of the fact that this IS your partner and this IS the person you love. Take the time to understand the other and to work at having compassion for where they are coming from. And the other of the couple; “Hmmm she is really struggling with this decision we need to make, that is why she asking so many questions. I’m going to make time to sit down and talk with her so she does not have to worry so much. I think that will help her feel more comfortable. This couple is now taking the time and has the willingness to perceive the other from a realistic and heart centered place. Your partner is not the enemy. When you try to get out of yourself and have compassion for the other, you can find validity in what they are experiencing, own what part you own and create more love in the process. 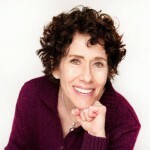 What is Transformational Couples Coaching with Judith Levy? Click here to learn more. Judith Levy M.Ed, RMT, CEHP, PCC, founder of Judith Levy Coaching is an intuitive practitioner, grounded in both the traditional psychological and educational principles of behavioral change, the alternative principles of energy health practices as well as the field of Coaching. Judith offers sessions on Skype, phone or in her East End office.